Ooooh update on NINJATOWN! 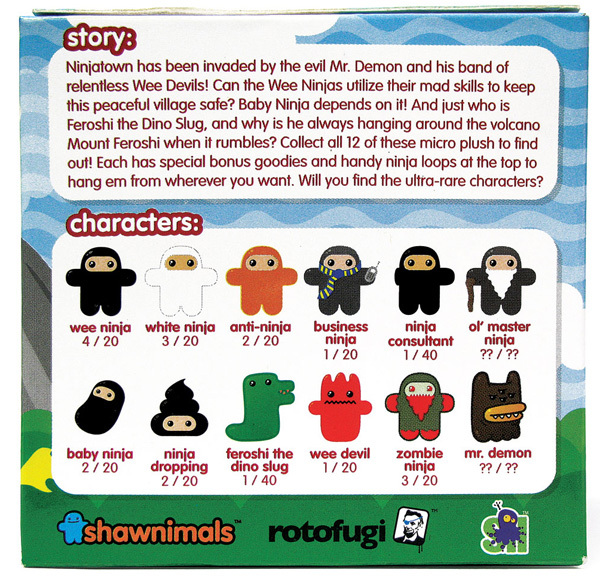 Remember i told you about the upcoming Nintendo DS Ninjatown game and the crazy cast of ninjas living there? Well, although you’re still going to have to wait till Fall 08 for the game, the blind box microplushes of the whole cast are dropping Nov 30th! Here are some sneak peeks at what you’ll get for $5.95 a box! Oh! And wouldn’t these make awesome xmas tree/Hanukkah bush ornaments? Or better yet, i think it’d be fun to just sneak around and leave ninja’s in random trees. I blame you for my impulsive xmas shopping behavior. Damn you! Also, I can’t believe you are younger than me, I mean, what the hell? 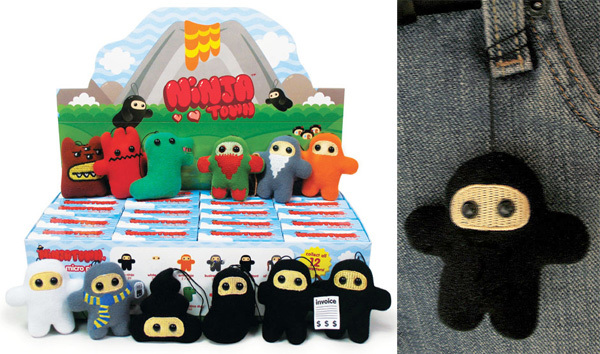 I love the baby ninja — ninjaness reduced to minimalist form. I love the joke of the ninja consultant, but I would be pretty disappointed if that is what I ended up with.